Welcome to Garden Grizzly, we invite you to peruse our website and past offerings for our customers. Currently we are upgrading out facilities and will keep you posted. Feel free to contact us anytime. ♦ Strongest Roof 26 gage “PBR” deep rib panel with 30 year finish. Fully trimmed for improved looks and durability. Stronger gusseted trusses. Solar-Guard Insulation (vapor & radiant barrier). ♦ Bonded & Nailed Construction Polyurethane construction adhesive provides over 3 times the strength of regular construction adhesive. The floor, truss gussets, siding, and trim are all bonded and nailed together. This shed is stronger than all competitors products we are aware of. ♦ Stronger Floor The floor joists are on 16 inch centers with Sturd I Floor tongue & groove flooring bonded and nailed around a pressure treated outer frame. ♦ Pre-drilled and Screwed together In all hi-stress areas such as the corners of the floor frame and ends of the skids, holes are pre-drilled and these areas are screwed together. ♦ Built-in Rain Protection “Micro-gutter” system is integral to the roof trim directing water from the roof into the down spouts. 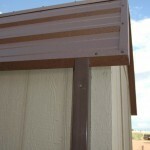 This keeps rain from dripping down the sides, front and back of the shed. This also eliminates the dirt spatter so common on other sheds. 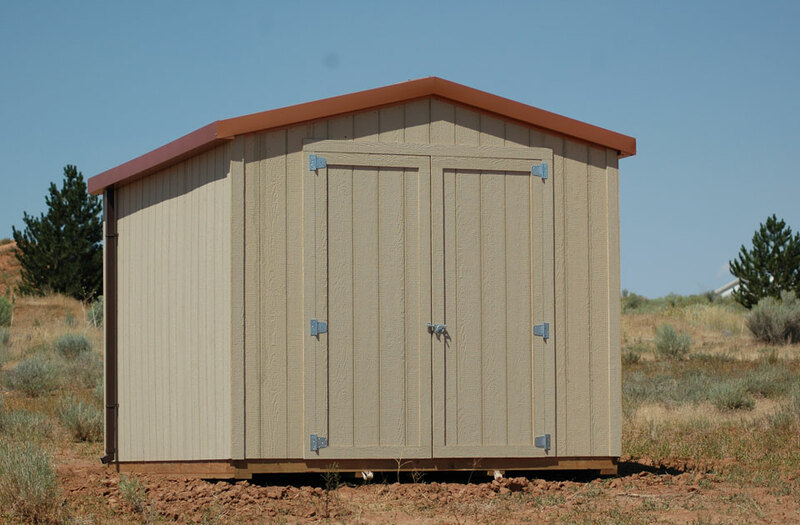 ♦ Eves front and Rear The roof overhands all the way around the shed. This prevents water from dripping down the face of the door and helps keep the weather away from the sides of the shed, protecting your investment. ♦ SmartSide Precision Siding 7/16 Thick Unlike other manufacturer’s that utilize a thin 3/8 siding, this is a full 7/16 professional grade siding. 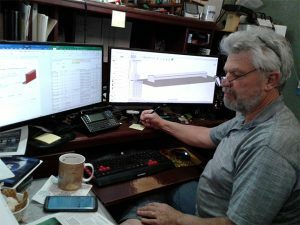 50 year manufacturer’s warranty is the best we are aware of. Extremely durable and good looking, this siding when painted is virtually indestructible. Free delivery within 50 mile radius (additional $1.50 per mile ‘one-way’ over 50 miles). Garden Grizzly is our shed and greenhouse products logo and trademark. CSCI Technology is dedicated to bring you the finest quality products available. We are located in Cahone Colorado and are currently upgrading our facilities please stay tuned for updates and available products.